Feeling weak and tired? Then this tea is for you! Rich in nutrients, Alfalfa Tea is a great source of strength and well being. A wise choice if you want to regain your balance and improve your overall well-being. Perhaps you know it by one of its many other names: Lucerne or Lucerne grass, Holy-hay or Trefoil. This tea is made from the herb medicago sativa, the Latin name to a plant that has been known for more than 2000 years. Its name, Alfalfa, comes from the Arabians that called it Al-Fal-Falah (Father of All Foods), it was the Spanish that changed it to alfalfa. It was used as horse feed to improve their strength and performance. Alfalfa has come a long way since those days. 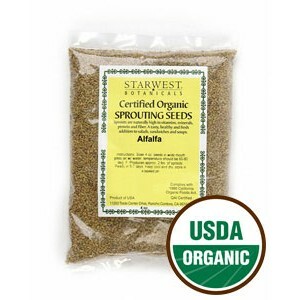 You can make alfalfa tea from the entire dried plant: leaves, sprouts and seeds. Its nutritive value comes from the intelligent design of the alfalfa plant. This herb is a perennial plant that can reach 70cm to 1meter in height and has small purple flowers and small split leaves. It is due to its deep root system that makes alfalfa a great forage crop being able to restore nutrient levels in the soil and making it resistant to droughts. At the same time the plant obtains through its roots those wonderful nutrients and vitamins that will certainly bring great benefits to you. Alfalfa has considerable nutritional value due to the presence of vitamins A, C, D and K, high levels of chlorophyll and minerals, such as calcium, iron, magnesium, phosphorus and potassium. Another great aspect of this tea is the essential amino acids and high protein and fiber content that you will be ingesting with every cup. 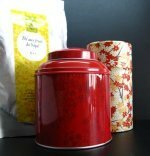 This tea is traditionally used to increase appetite, recovering weight after an illness due to its high nutritional value. Great for you if you are suffering from anemia or malnutrition. It is a diuretic, helping to prevent and heal pain coming from the kidneys and bladder. Also, as a diuretic, it also lowers sugar levels in your blood, acting as a blood purifier helping you to lower blood pressure and cholesterol levels. It is an herbal slimming tea. As a great source of vitamin K, alfalfa herbal tea promotes blood clotting, stopping such things as nose bleeds and uterine bleeding. This vitamin is also beneficial for carbohydrate storage and liver health in terms of vitality and longevity. Alfalfa contains active principals with hormonal action, making this tea great for dealing with menopause. Also it helps with osteoporosis, a common ailment to this time in your life, by helping calcium retention in bones. However, check with your doctor before drinking this tea. Every person has particular needs at this stage, so it's always better to know what suits your body best. Alfalfa infusion is great for the digestion. It helps with stomach problems and in case of bad digestion. It helps to restore health to the digestive tract, healing gastrointestinal ulcers, relieving constipation, treating gas, and preventing and helping with intestinal fermentation. In summary, alfalfa tea is a natural laxative that will help your digestion and at the same time prevent water retention. In Chinese medicine this tea was used to treat digestive diseases and kidneys issues. While in Ayurvedic medicine alfalfa leaves are used to treat poor digestion. This tea calms the nerves and acts as an herbal sedative. It’s ideal if you suffer from insomnia or just need something to help you relax. It may also help in case of arthritis or rheumatism. Alfalfa herbal tea may boost your immune system. If you make your tea from dried alfalfa leaves, it will help to bring down fevers. Keep some in your pantry to fight off early symptoms. It may induce lactation, but check with your doctor if you are breastfeeding before you take this tea. 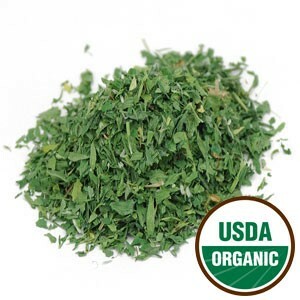 More importantly, Alfalfa tea is great source of energy and stamina. Alfalfa can be eaten with other vegetables, raw in salads and it can also be cooked as its vitamin content resists well to boiling. 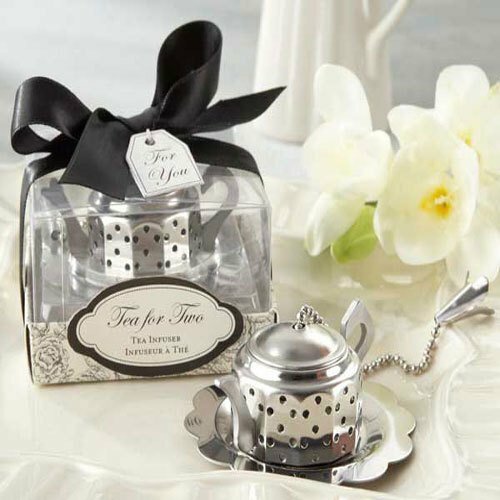 Brew your cup of tea now! Though Alfalfa is a great herb that makes the tea with all these wonderful benefits you’ve read above, there are still some side effects that you should be aware of. If you are on anti-rejection drugs after having undergone a kidney transplant, than be careful and consult your doctor before drinking this tea. Alfalfa is not recommended for people with autoimmune disorders, so see your doctor if you are taking immune-suppressing medication. Additionally if you suffer from diabetes, check with your doctor before taking this tea. 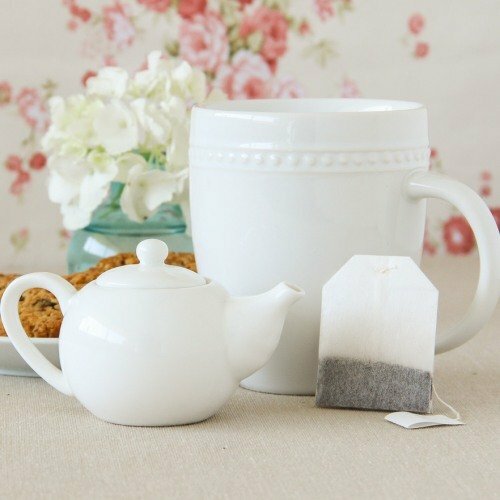 Do not use alfalfa powder to make your tea, as this isn't healthy for you. Last but not least, if you are pregnant or breastfeeding avoid this tea. a) Use one teaspoon of dried alfalfa leaves per cup of boiling water. Then, let steep for 10 to 15 minutes. Finally strain and drink. b) Place one teaspoon of crushed seeds for 4 cups of water, boil for 30 minutes and then strain and drink. This tea has a strong flavour, some say it is vegetable like. To create a different flavour you can mix alfalfa tea with peppermint to help cure renal dysfunctions. Mint with alfalfa will give you a good minty soothing flavour and you can always consider adding ice. This will be a great summer beverage. Here’s a tip you should consider: only drink this tea a couple of days a week, and then let’s say just two cups on the days you choose. More than this and you could start to feel bloated. Buy Your Alfalfa Tea Today! Go ahead and give alfalfa a try today!